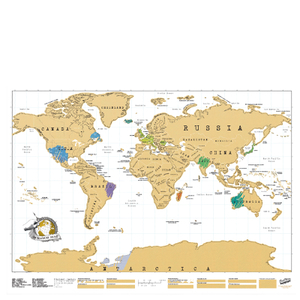 The popular Scratch Map now comes in a Rainbow Edition: a stunning world map printed on high-quality satin gloss laminate paper with a removable foil top layer. 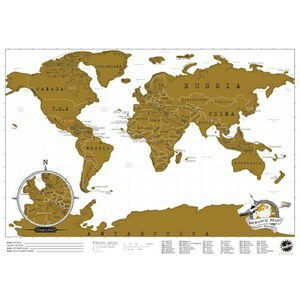 The world map is detailed with capital cities and topographic relief detailing and also features a close-up map of Europe and the Caribbean islands. Scratch the top foil layer from the countries you have visited and they will be revealed in shimmering, iridescent, metallic shades. 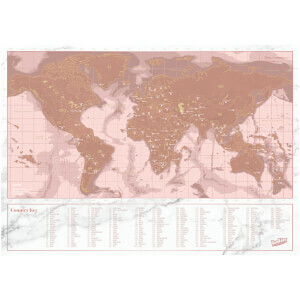 Housed in a matching gift box, the Scratch Map is a great gift idea for anyone with a love of travelling.